Recently on “60 Minutes” a bishop was being interviewed who said that the Virgin of Guadalupe was now the most popular saint…and that was in Chicago! 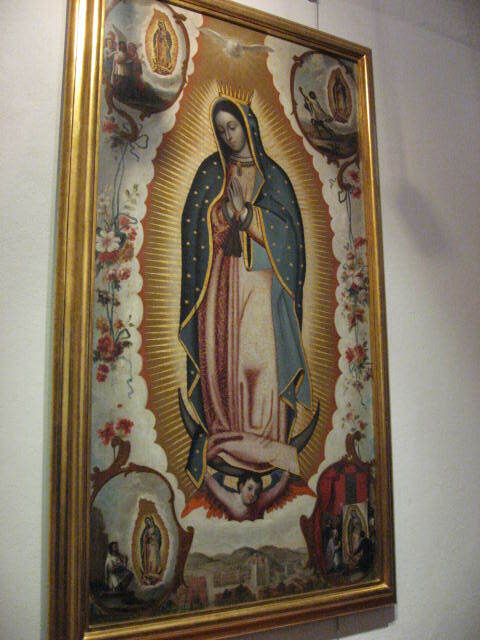 In the southwest and all of Latin America she’s been the Virgin of choice for generations. 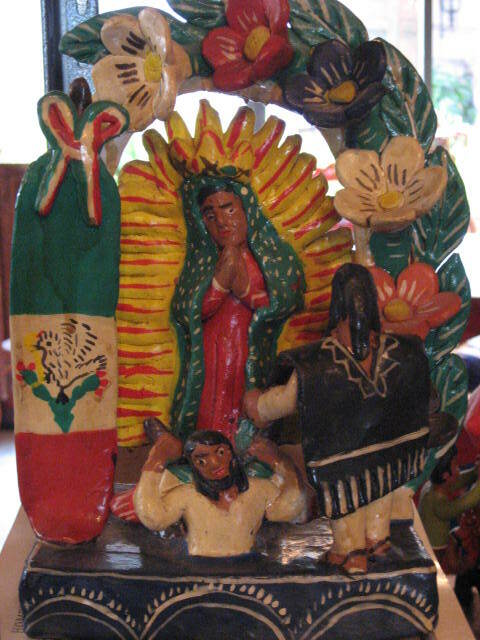 People see her as one of their own, one who appeared in their part of the world to an indigenous man, Jaun Diego, in 1531. She told him to go tell the bishop of her message to build a church on that spot, but the bishop didn’t believe Juan until he beseeched the Virgin to give him a sign. 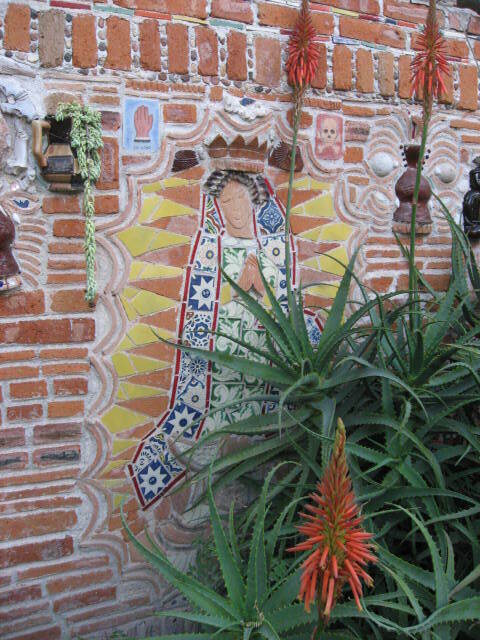 She not only sent flower petals that were out of season, but also the image of her likeness was burned onto his tilma…an image that remains displayed in the basilica in Mexico City to this day, and which continues to defy scientific explanation! They simply cannot determine what the image is made of! 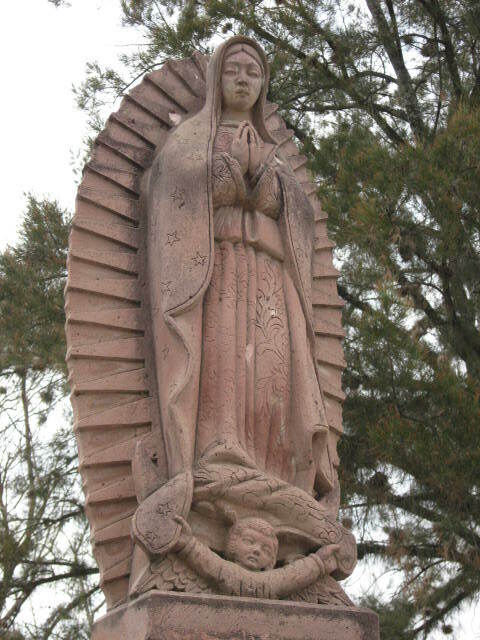 The Virgin of Guadalupe is not only understanding, benevolent, and beautiful in all ways, but also accessible to everyone. She is the one that can be related to, unlike some of the ornate and overly pious images from the old world. 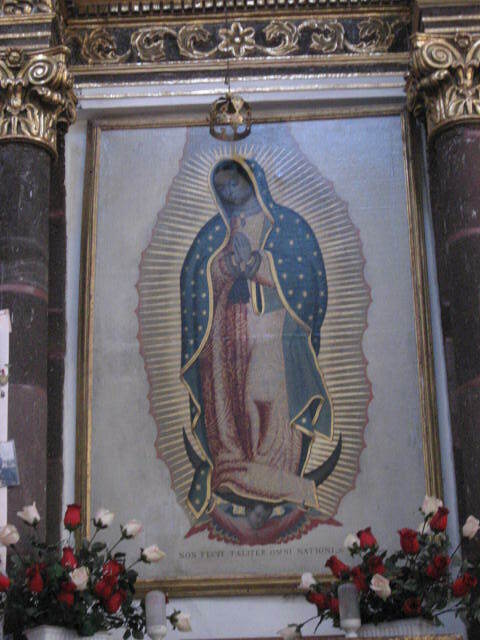 Today, December 12, marks the Feast Day of Our Lady of Guadalupe. Many thanks to Rebecca for hosting this inspirational event, and to all those who participated. It has been a most rewarding and delightful journey. ~ by Dawn Elliott on December 11, 2011. A wonderful way to end this special project. The many representations of OLOG. I love your mouse pad. Made me stop and take a look at mine. A photo of my grands taken at least 6 years ago. Thank you for sharing in this meme. blessing at this holy time and Merry Christmas to you and yours. 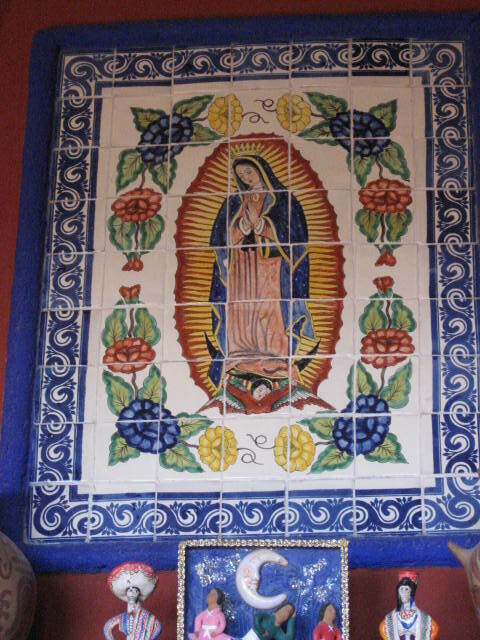 beautiful collection of guadalupe shared here dawn! i too love that she is the one that does open her arms and hearts with a simplicity and oneness that she speaks to the many. may we all learn from this generous and complete acceptance to live together as one and hold each other up in the light of love each day. 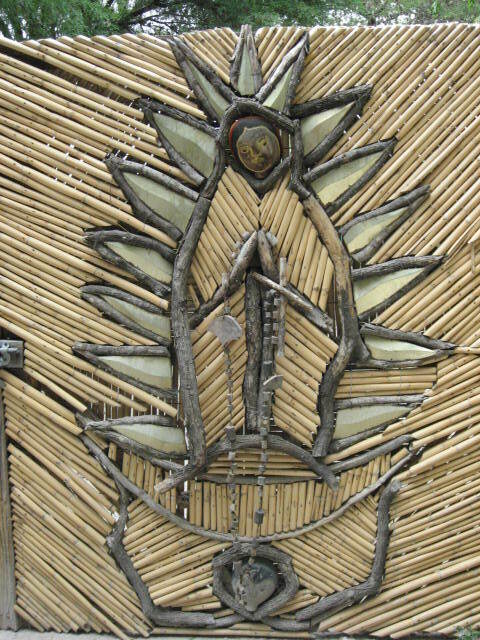 She is the Virgin of the peoples. Helping to keep us on the path we need to be on and by example, showing us what it means to love. I loved this post Dawn! And though all are magnificent, interwoven with the story, the mousepad is my favorite. We humans are something else, aren’t we? Down there in the underground stream of the collective unconscious we KNOW what is good and true. Thanks for all the wonderful and inspirational posts and photos over the past 12 days. I thank you for these beauties!!! 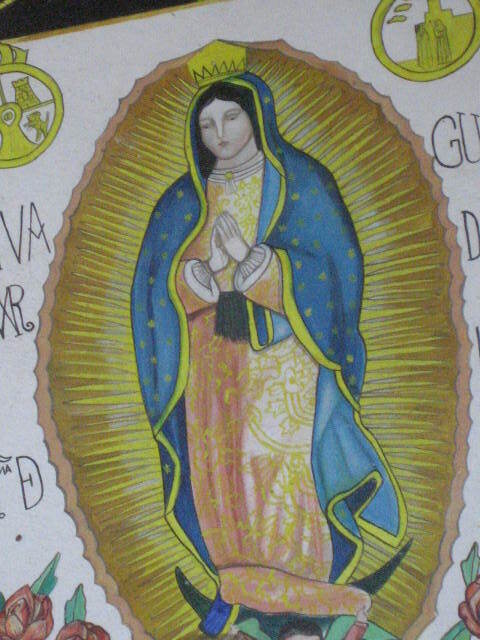 What a beautiful array of Guadalupe images. 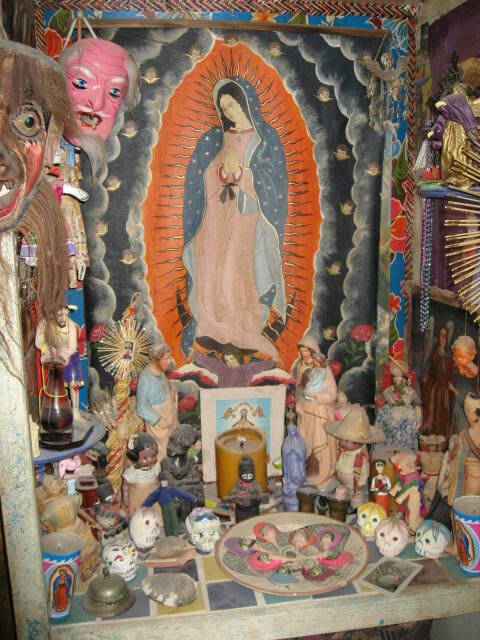 I love that Los Dias Ofrenda and the tiles. A mousepad eh? Maybe not as cool as the gear shift knob when i find one. I have enjoyed being here every day and will miss the visits back and forth. Love 2 4 8 10 and 11. Now seriously where did you get that mouse pad – i like the image it is different than the ones i have seen. What a wonderful collection. Thank you for sharing this pilgrimage! 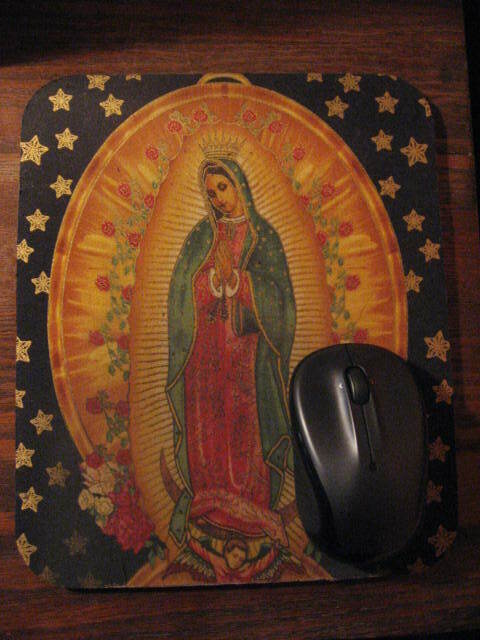 Thanks for this little history of the Virgin of Guadalupe — but I love the mouse pad best of all! 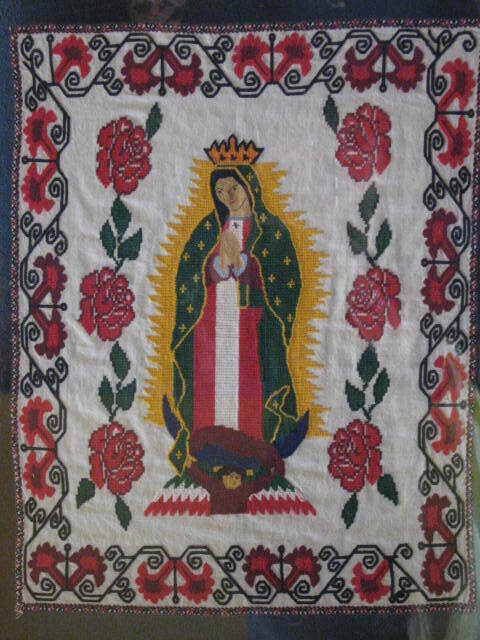 You told the story of Guadalupe so beautifully so that it was understandable to everyone. I love all of the statues; each one is more lovely thank the next. Thank you for sharing these Mary Day with us. in gratitude for our days of mary i have posted my gratitude to you and all today at recuerda mi corazon with a special invitation. p.s. i disparately need a mouse pad!